I hope everyone has been enjoying the summer weather! It’s been great to be able to swim, go for walks outside, grill, and just generally forget that snow exists. However, I’ve been a little lax with making new recipes because it’s hot and I don’t always feel like cooking. So I’ve been defrosting a lot of meals or making quick kebabs on the grill. 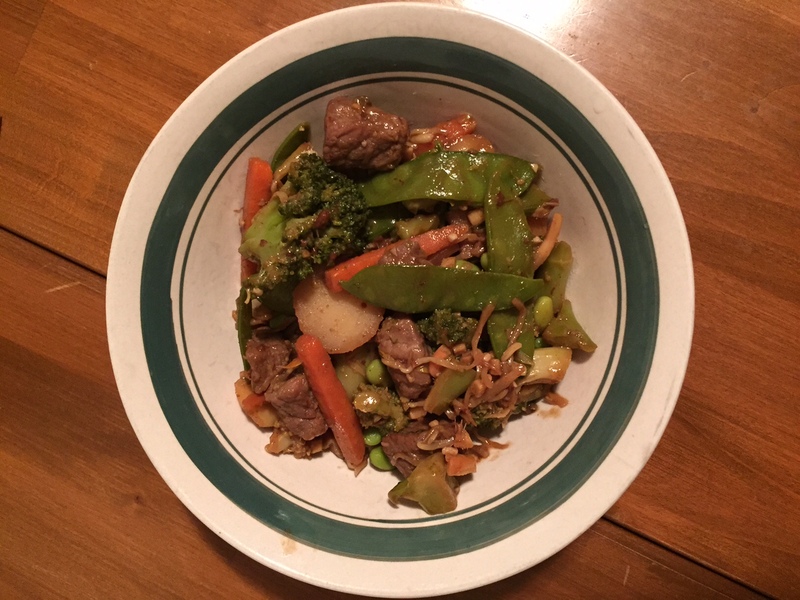 I made this recipe a little while back and want to share it! It was from the Skinnytaste Cookbook and, like all the other recipes in there, it was delicious! 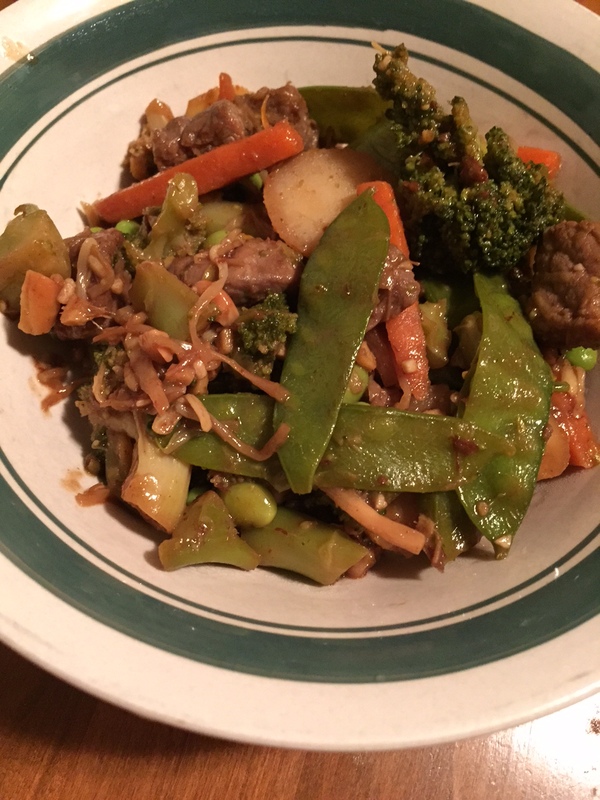 I added some stir fry veggies, served it over rice, and it was so yummy – tasted like take-out! 1.) 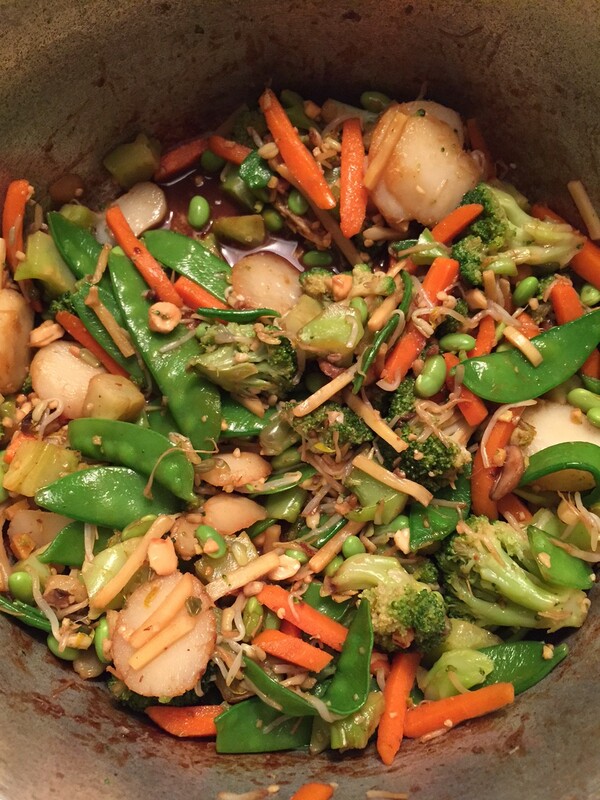 In a small bowl, whisk together the cornstarch, 1 tbsp soy sauce, the rice wine, and 1 tsp sesame oil. 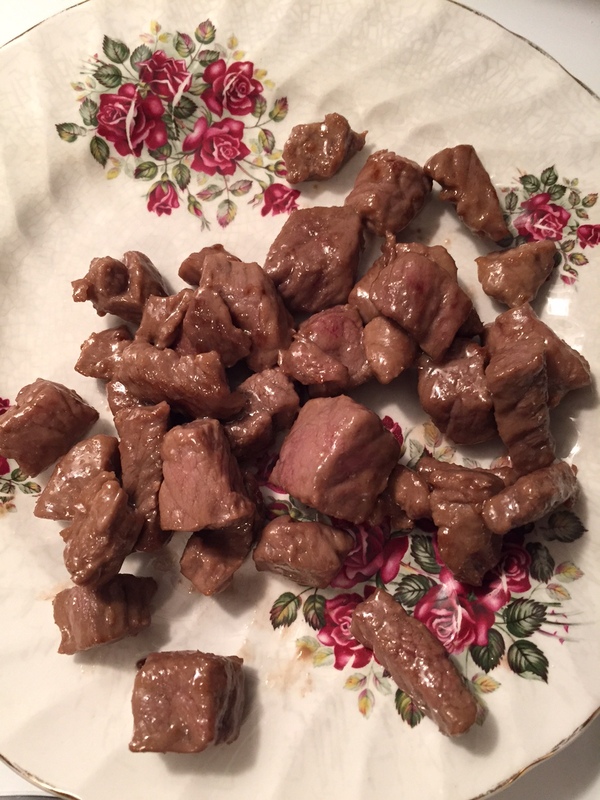 Add the beef, coat with marinade, and let sit at room temperature for 30 minutes. 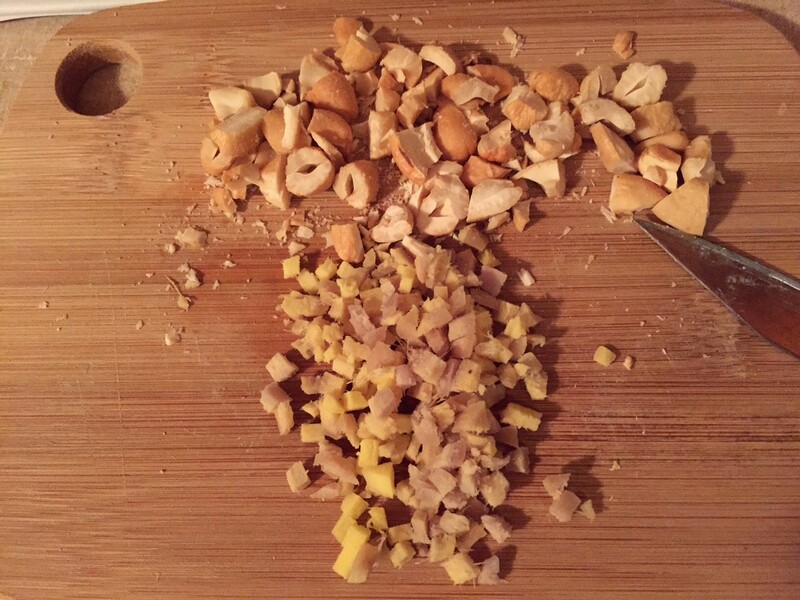 While that is marinating, dice the ginger and chop the cashews. Steam the frozen (or fresh if desired) veggies. 2.) 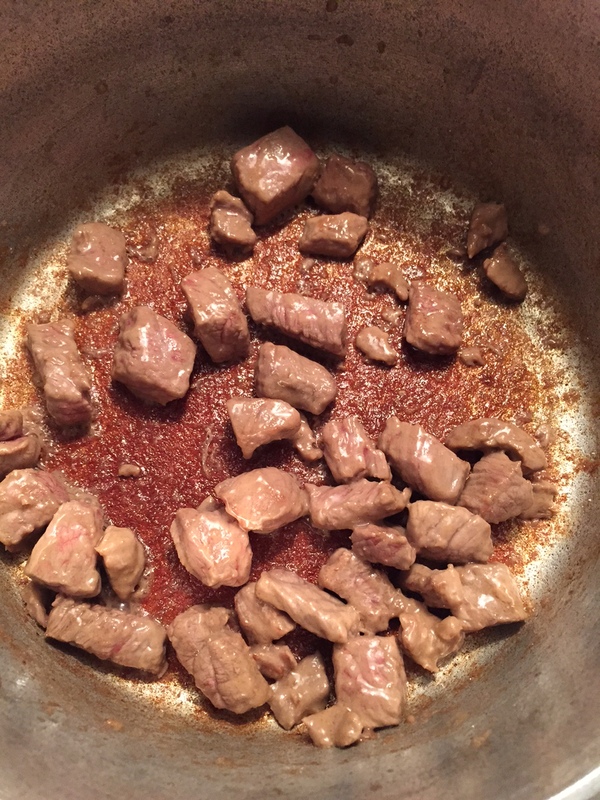 Once beef is done marinating, heat a large skillet over high heat and add 3 tsp sesame oil and the beef with marinade. Cook until browned on all sides. Transfer to a plate. 3.) 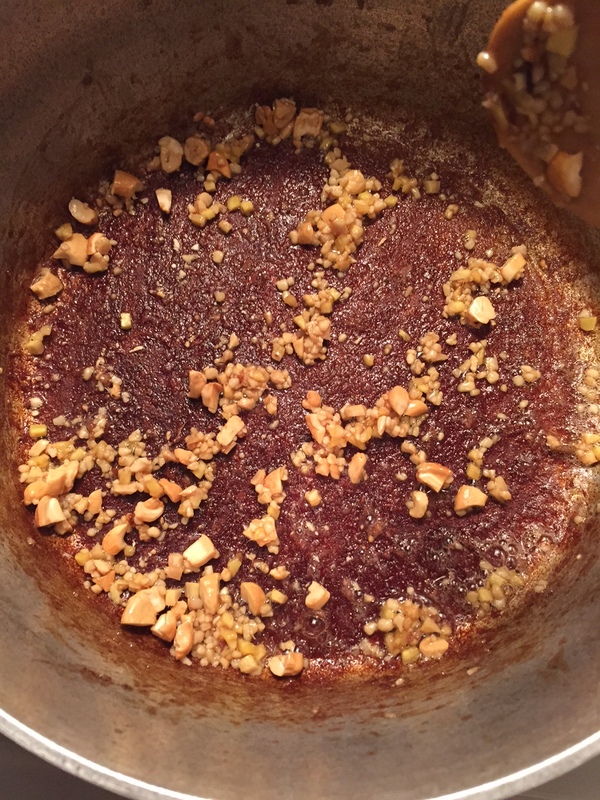 In the same skillet, heat the last 2 tsp of sesame oil and add garlic, ginger, and cashews. 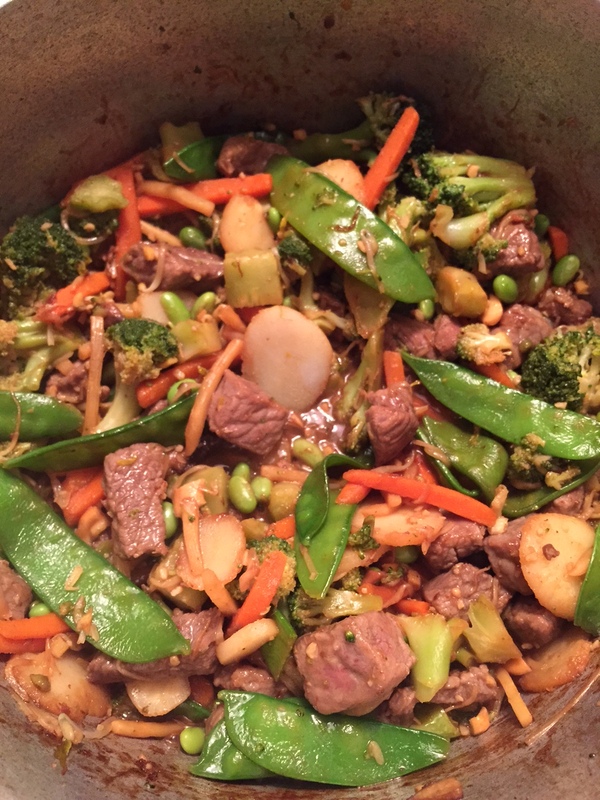 Cook about 30 seconds, then add the veggies, brown sugar, and remaining soy sauce for about 1 minute. 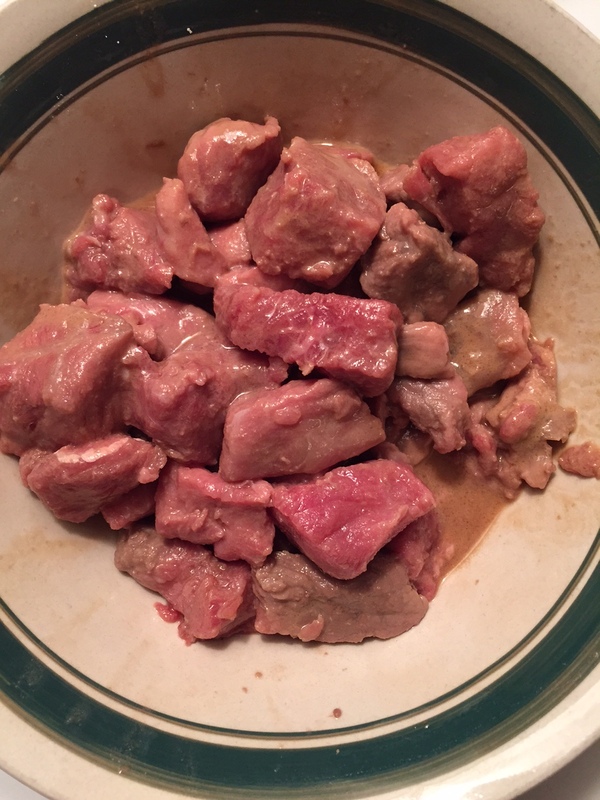 Then add the beef and stir to mix well. 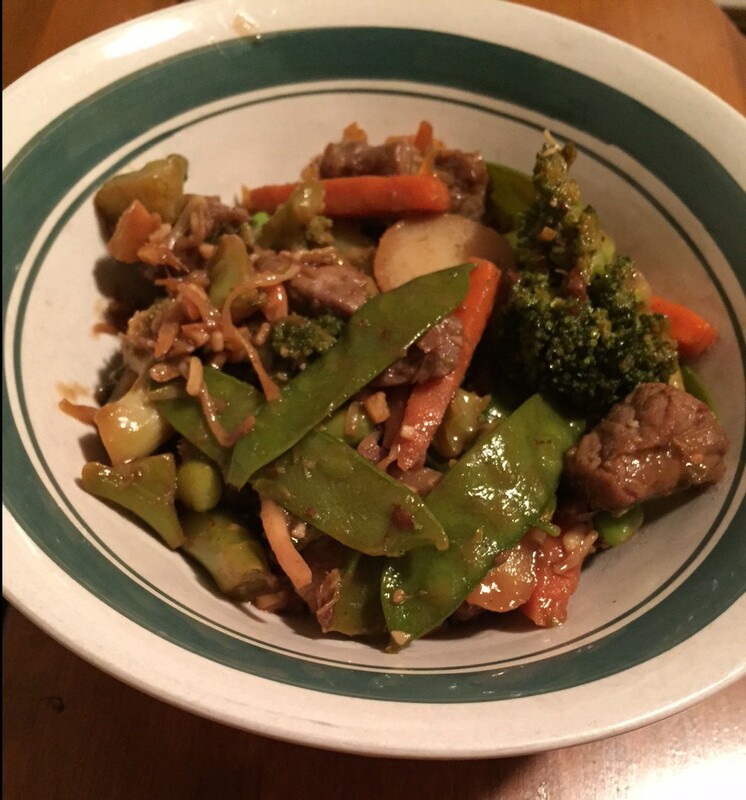 Serve 1/4 of the beef mixture over 1/2 cup brown rice.